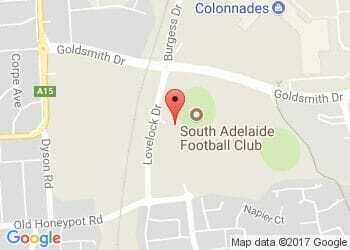 South Adelaide's Under-18s had a day out on Saturday against Centrals, coming away with a comprehensive 142-point win. The Bulldogs were coming off their first win for the year against West Adelaide the week before so our guys were expecting an opponent full of confidence. During the week the coaches and players spoke about how we would approach the contest. We normally approach our games with the mindset of being the "hunters" and this game could possibly bring a different mindset given we were playing a team lower on the ladder. To the credit of the players, they decided to maintain our typical approach of taking the opposition on playing our style and with the same mindset we usually have. This approach worked well in the first quarter, where we outscored our opponents 7.2 to 0.1 and set the game up from there. The midfield were challenged pre-game to stand up and deliver for two reasons - to protect our undersized back six and to control field position in our forward half. They did this very well. It was only the second time this year we were able to win all four quarters. Overall it was a very impressive performance after losing two players on Friday to illness and seeing Dylan Whimpress join the Reserves for his first taste of senior footy against North Adelaide. Our best player on the day was U16s-ager Hayden Sampson, who collected 34 touches, seven insider 50s and two goals, while Nick Steele was the beneficiary of some great attacking football and kicked 10 goals. These two were just a couple of players in a large group of great performers. This week we now prepare for an inform Norwood who are preparing for finals and come off an impressive win against ladder leader Glenelg.